Demo for lower rent! 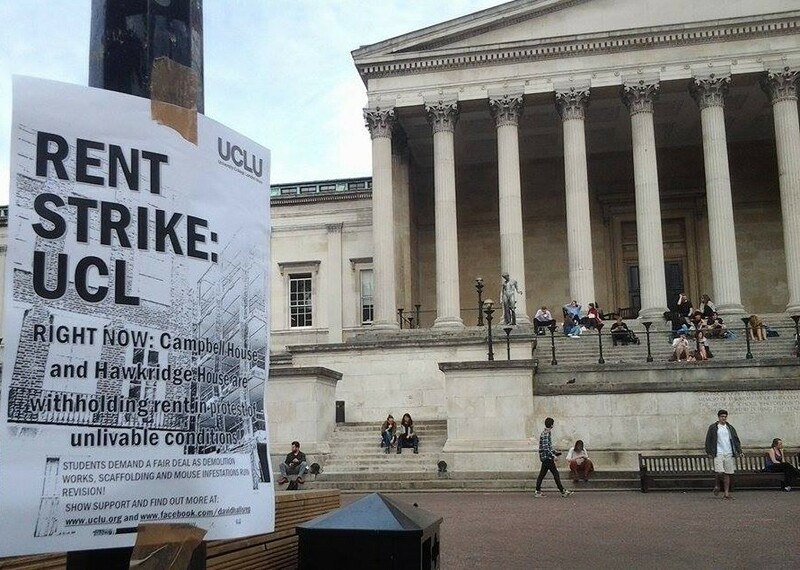 Solidarity with the UCL rent strikes! 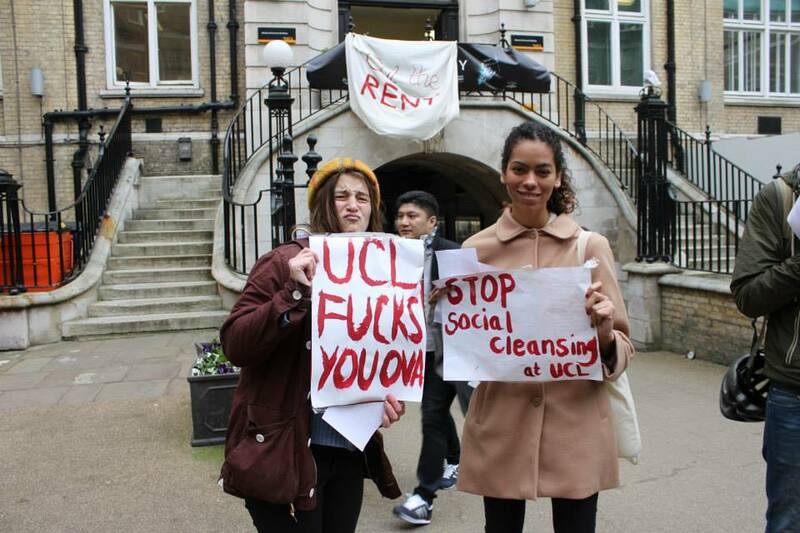 UCL won’t freeze the rent next year: students who want to come here deserve to know! UCL rents are far above the average maintenance loan given to people studying here. 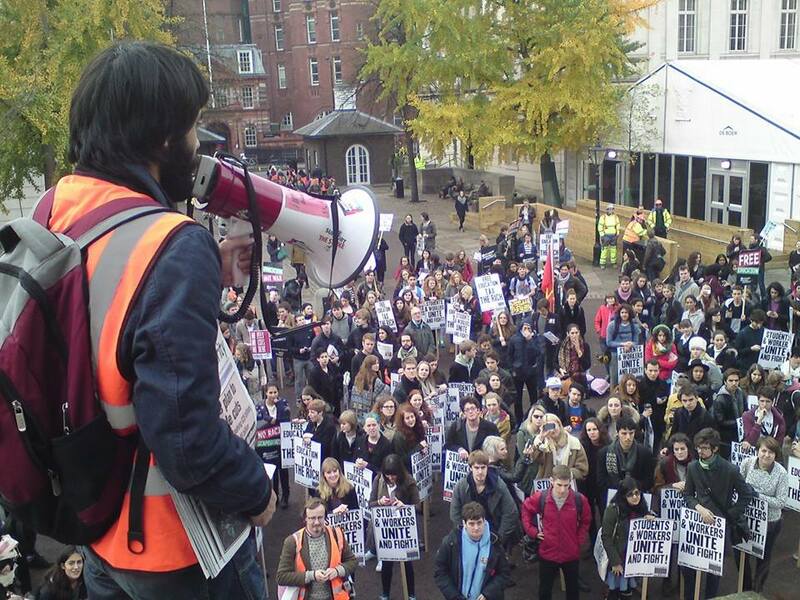 We want everybody to have an equal chance to attend university. For that to be possible we demand that all student accommodation be made affordable and that UCL should start by freezing its rent at last year’s levels and not raise them to new extortionate highs. 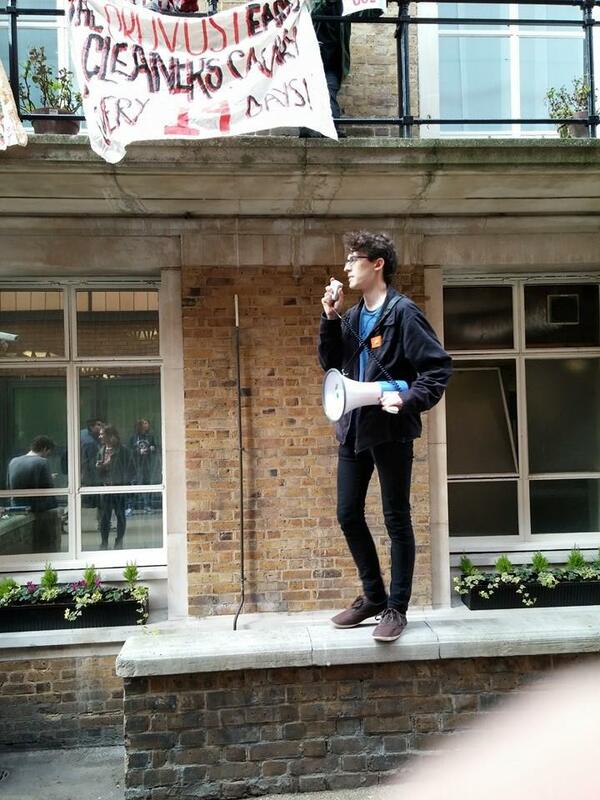 We also demand that UCL meets all the demands of the rent strikes at Hawkridge House and Campbell House and we express our solidarity with the residents there who have been cheated by the university and are bravely maintaining a rent strike in protest. Join us on this action against exploitation and for a better, fairer and more democratic university and accommodation system! In a recent Pi article, it was argued that sabbatical officers at UCLU should fight on behalf of the ‘UCL, cut the rent’ campaign, rather than pursuing ‘pet projects’ such as the campaign for free education. In doing so, Pi ignores some basic elements of the cut the rent campaign that has developed at UCL and understates the importance of the campaign, and similar ones, in the national movement for free education. Firstly, it should be noted that Pi criticises some of the sabbatical officers who have been most prominent in the national organisation of the free education movement (including the march for free education in November last year), even though they have not been the only ones who have been involved in the creation of the campaign and the organisation of all of its actions to date. These officers are part of UCL Defend Education, a group on campus that, alongside fighting for better conditions for students (through the setting up of the cut the rent campaign, for example) has been centrally involved in the national campaign for free education. Secondly, perhaps to state the obvious, the majority of the organisation and running of the campaign has been done by students who, at most, are part-time officers in the union, with the majority holding no particular union role. Whilst Pi may contend that this is a problem, that the sabbatical officers should be the ones doing this instead, this would be to completely misunderstand how a campaign should be run. Instead of focusing on sabbatical officers who are not pulling their weight, the focus should be on the wider student population. It is likely that the majority of students at UCL have, either past or present, lived in student halls and have first-hand experience of quite how unaffordable it is. 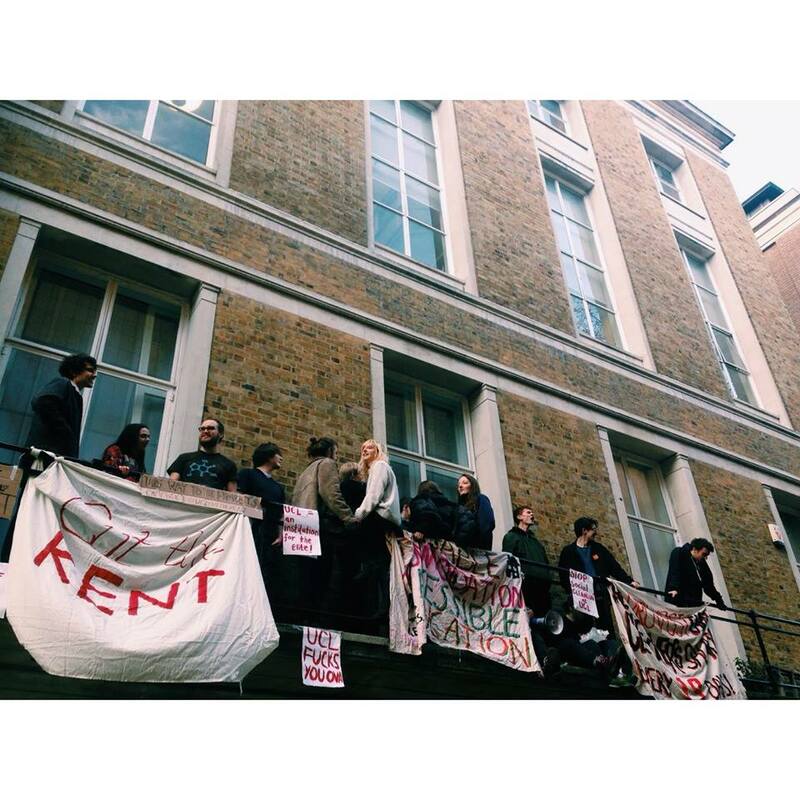 They should also recognise the consequences of year-on-year rent increases – that UCL increasingly becomes the preserve simply of those who can afford to live there, that entire sections of society are priced out of education. Maybe, instead of spending half the article, after a half-hearted attempt to fulfil what is expressed in the title, criticising sabbatical officers for their lack of involvement, the focus should have been on the importance of the campaign for the future of the university and why all members of the UCL population should be getting involved. Finally, the reason the same students and sabbatical officers that have been involved in fighting for free education as well as the ‘UCL, cut the rent’ campaign is that the two are necessarily intertwined. Pi quite rightly states ‘you can’t have free education without affordable accommodation’, but does not recognise that the fight for each is the same fight. Both of these elements work in tandem to further increase the inaccessibility of education – £9,000 tuition fees put off those unwilling to take on an enormous burden of debt, whilst rocketing accommodation fees result in a situation in which many cannot afford the day-to-day living cost of going to university and for those who do, they are further burdened by the extra thousands of pounds going towards their accommodation. 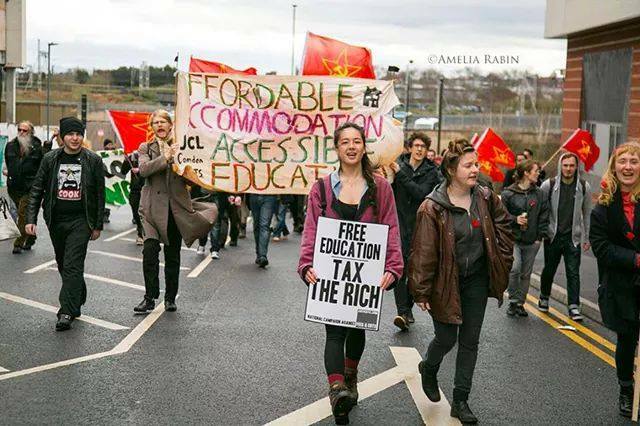 How bad does the affordable accommodation banner looks on the march for free education in Birmingham! Pi’s belief that the campaign for lower accommodation fees is separate from fighting for free education reflects an essentially incorrect view of how any political campaign is won. Free education will not be won by the NUS; it will be won through organisation on a campus behind a national movement and local campaigns for more affordable and accessible universities, such as the ‘UCL, cut the rent’ campaign, both led by students and sabbatical officers.